Front Yard is Sarah Watt's most recent collection for Cotton + Steel. With this collection Sarah pays homage to her mother who loved gardening. Sarah remembers many sunshine filled childhood afternoons spent digging in the front yard with her mother, often joined by her dad (who always had a big white beard like a gnome). 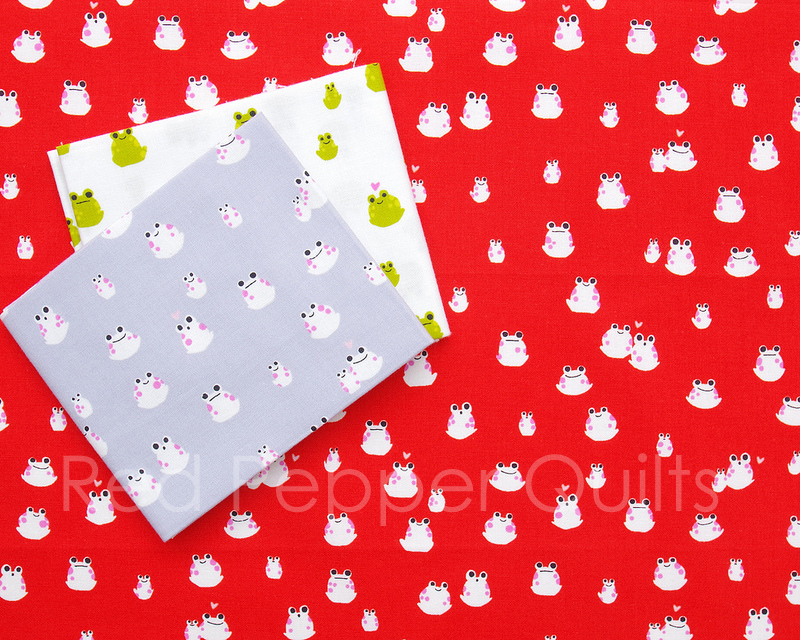 Front Yard is filled with Sarah’s whimsical ink illustrations of animals and plants that are always so popular on fabric. I particularly like the mushrooms and garden gnomes for these too resonate with my own childhood and fondly recall stories and nursery rhymes about red mushrooms with white dots surrounded by gnomes. 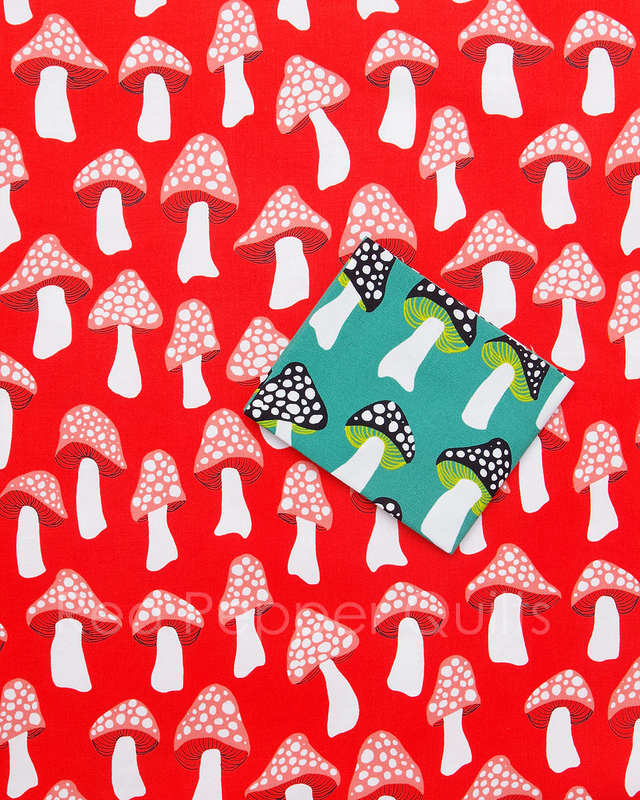 The mushroom print is available in two colorways, and each mushroom measures approximately 3" in height. The collection consists of 13 prints, 5 unique designs each available in up to three different color ways. 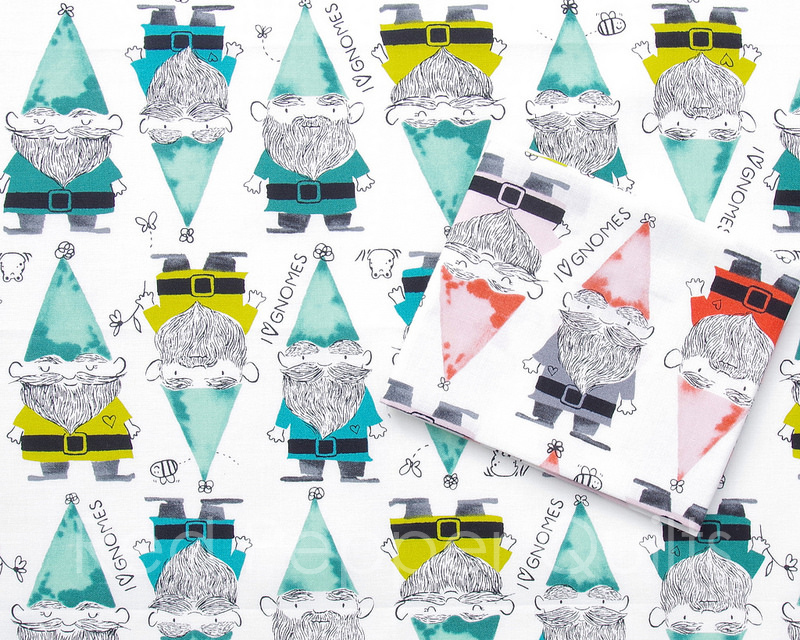 The gnomes, featured in the red and green colorway (pictured above), are 4 inches tall and are rather adorable! The collection also includes two rayon prints and two linen canvas prints - not shown here. 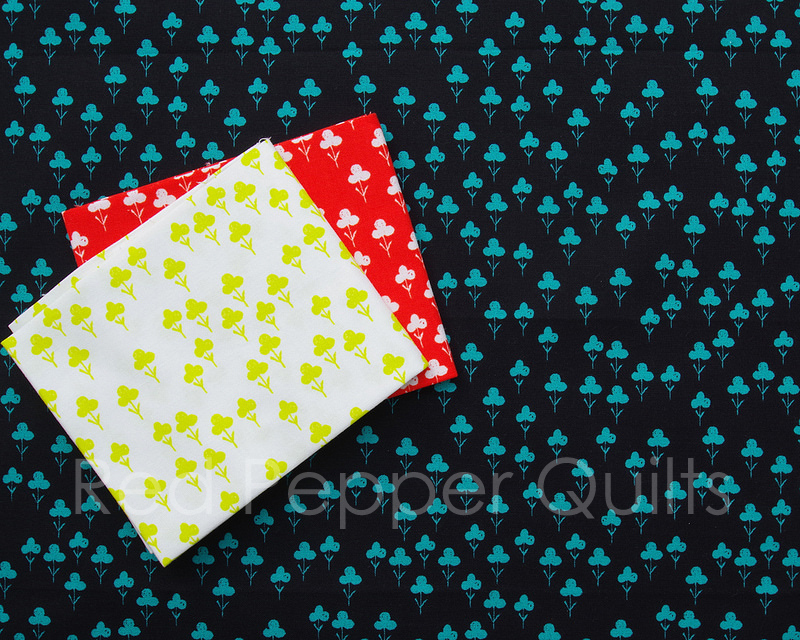 The Fat Quarter Shop 20% off Basic of the Month: Kona Cotton by Robert Kaufman. 20% off Notion of the Month: Olfa Rotary Cutters and Blades. Prices are as marked. Ends 31 July 2018. 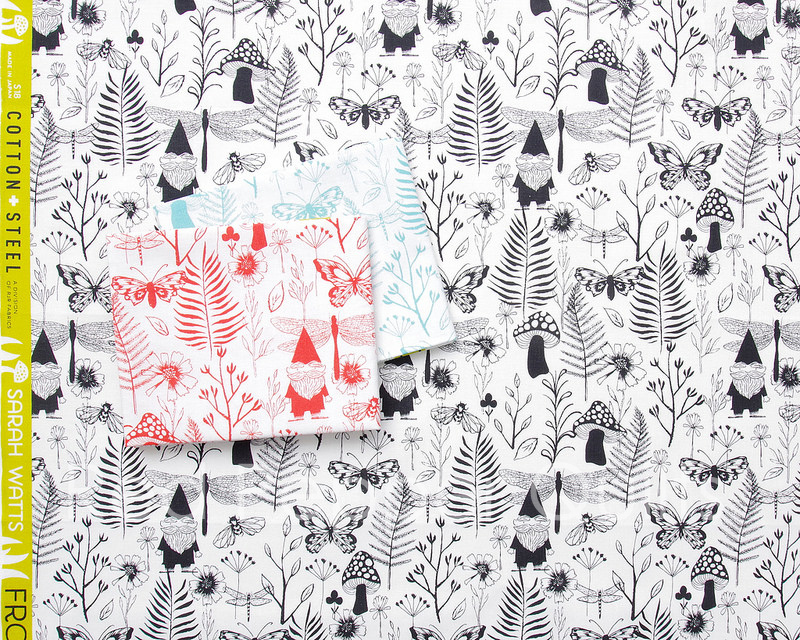 Pink Castle Fabrics Just in: Passionflower by Anna Maria Horner and Polk by Carolyn Friedlander. 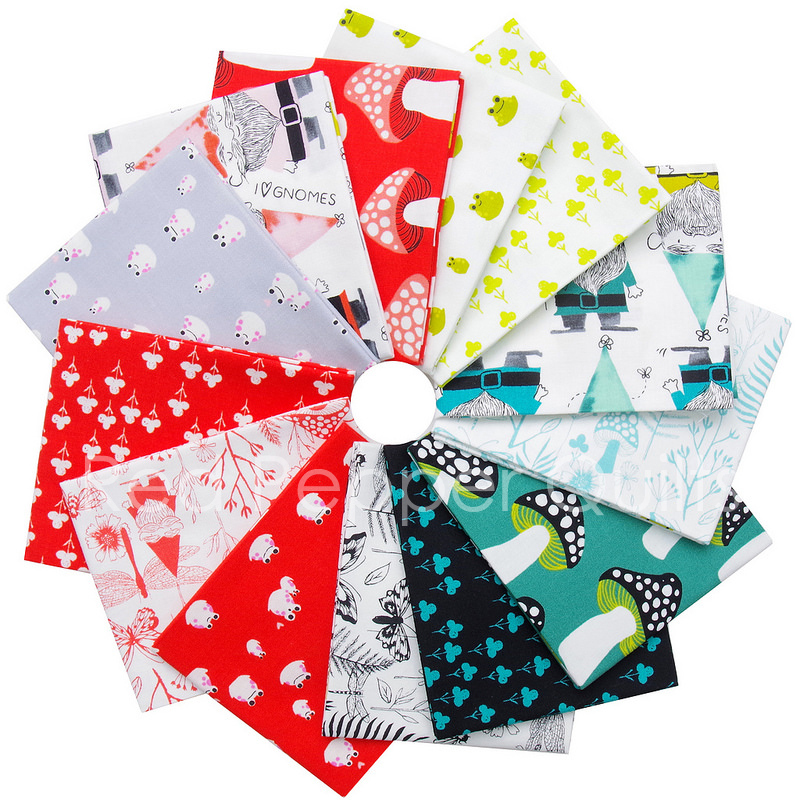 I Love Fabric Just in: Moonrise by Alexia Abegg for Cotton + Steel and shop the SALE category ~ lots of new additions! Prices are as marked.